Tembec Inc. employs over 3000 in its operations in Quebec and Ontario, and strongly supports the Softwood Lumber Agreement for the stability and predictability of US Market Access that it provides for our customers, our employees and the many communities in which we operate. Thanks to the Softwood Lumber Agreement, lumber exports are free of export tax or quotas today and for the majority of the past year, resulting in a resurgence of exports from Ontario and notably Quebec. Recent media reports have made broad generalizations about the views of the Quebec forestry industry, we would like to correct the record. KAMLOOPS – If pulp mill odours in British Columbia are occasionally described as the smell of money, a lot of cash was wafting over Kamloops Wednesday night. Assistant fire chief Jeff Bell says his department and the Kamloops RCMP detachment were deluged with calls about a nasty stink blanketing the southern Interior city. Callers reported a natural gas smell but Bell says it was quickly traced to the Domtar pulp mill, just west of the downtown core, directly across the Thompson River from a residential area. Domtar officials told Bell the mill released what is known as non-condensable gas, a mostly-sulfurous substance, produced when making kraft pulp and paper. For many Port Moody residents, the decades-old Flavelle Sawmill operating on the city’s waterfront is either part of the community’s economic engine, or an eyesore… Recently, the mill added a second shift, hiring 22 new people, and the company intends to add a third shift. Bruce Gibson, the vice-president of real estate asset management for Mill and Timber, the company that owns the mill, told the Tri-Cities NOW the company has a goal of returning the mill to a 24/7 operation within the next year. At full operation, the mill would employ 188 people… The story of Flavelle’s turnaround is not an anomaly for Rick Jeffery, president and CEO of the Coast Forest Products Association. New figures from the Alberta Forest Products Association show that members produced $2.7 billion worth of wood, paper and pulp in 2013, a significant jump from 2012. The value of all lumber, pulp and paper and panelboard manufactured by AFPA members was up $335 million, or 14 per cent, over 2012 levels, according to recently compiled results for the year ended Dec. 31. “It was a really strong year for us,” Brock Mulligan, the association’s director of communications, said Thursday. Twin Rivers Paper Company is investing $2.5 million in its Plaster Rock sawmill, creating about 50 jobs in the northwestern village. It’s a direct result of the province’s new forestry strategy, said Jean-Pierre Grenon, vice-president of forestry and sawmill operations, who made the announcement on Thursday. Under the new plan, announced earlier this month, the mill will get more Crown wood, which puts the company in a “strong position to create and sustain jobs,” said Grenon. PLASTER ROCK, N.B.—Twin Rivers Paper Company Inc. said it is investing $2.5-million and adding a third shift to its mill in northwestern New Brunswick. The additional shift will add 50 new employees to the facility in Plaster Rock, N.B., that currently employs 180 people. The investment in the lumber mill comes about two weeks after the provincial government introduced a new forestry sector strategy that increases the amount of softwood forestry firms can take from Crown land by 20 per cent. Dave Townsend knelt beside a pile of 2,000 ash logs 10 feet high and 220 long, representing an estimated 130,000 board feet of sawn hardwood. Some were a couple of feet or more in diameter, like those Townsend Lumber has harvested for decades. Others however were well below that standard, cut standing dead in what essentially was a salvage operation. And in their midst, Townsend was able to sum up the massively-devastating effects of the Emerald Ash Borer with one finger and a single sentence. “No water, no more photosynthesis, no more nothing – it just strangles,” Townsend said, indicating trails through what formerly was formerly sapwood in a healthy ash tree. Klausner Lumber One LLC has begun the first phases of vertical construction on a sawmill that will be located at the catalyst site in Northwestern Suwannee County. According to County Administrator Randy Harris, the company is anticipating starting their operations in late July. 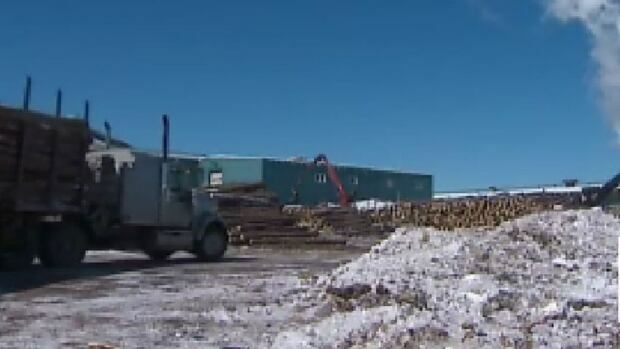 For now, construction is underway on the multi-million dollar state-of-the-art sawmill. Carter Holt Harvey will have to cough up almost $2 million for its part in a classic case of price fixing in the Auckland timber market. The High Court fined the company $1.85m after the Commerce Commission found Carter Hold Harvey and Fletcher Building had entered into an agreement to fix timber prices for commercial customers. Carter Holt faced a fine of up to $10 million. The company’s former manager, Dean Dodds, was fined $5000 for his involvement. Each custom kitchen cabinetry suite is created from a single, large French chestnut tree by luxury Italian kitchen cabinet manufacturer Effeti, sold in the U.S. by Effeti USA. Effeti Cucine Uniche’s unique one-tree design means only a limited number of custom kitchens are produced each year in its 100% Wood collection. Each model in the 100% Wood line, numbered and signed, takes single sourcing to the next level. The French chestnut tree used on each project has been sourced from managed forests, and seasoned and weathered. An ancient giant that has been discovered in a logging clearcut area on southern Vancouver Island could be the second largest Douglas fir tree in Canada. …Activists with the Ancient Forest Alliance say provincial government should do more to protect the province’s biggest trees. …The Ministry of Forests, Lands and Natural Resource Operations told Global News the tree will not be cut down. It says there are more than 25 million hectares of old-growth forests in B.C. and about 4.5-million hectares are fully protected. As to the 2011 promise by the province to develop a new “legal tool” to protect the province’s biggest old-growth trees and grandest groves, the ministry says it is a complicated issue, but it is continuing to look at different options and has been having continued discussions with the Ancient Forest Alliance about it. Burns Lake, B.C.- The Lake Babine Nation and the Province of B.C. have reached a pre-treaty agreement. Called an “incremental treaty agreement” (ITA) it supports economic development for the Lake Babine First Nation, and demonstrates some of the benefits of a treaty in advance of a final agreement. Under the ITA, four parcels of land, including the Fort Babine Lodge, will be transferred to the Lake Babine First Nation. The Province will provide $100 thousand dollars in funding to help develop both forestry and eco-tourism opportunities. WASHINGTON, D.C. – U.S. Rep. Glenn ‘GT’ Thompson (PA-5), chairman of the House Agriculture Committee’s Subcommittee on Conservation, Energy and Forestry, held a public hearing to review the impact of the Endangered Species Act (ESA) and related litigation on the U.S. Forest Service and National Forest System management. ….A recent study in the Journal of Forestry examined 1,125 management cases filed against the Forest Service in federal court between 1989 and 2008. .
Will Harris, one of the very few hold-overs from the Baldacci to the LePage Administration, spoke with remarkable candor and courage yesterday when questioned by legislators about the governor’s plan to harvest more timber on public lands and use the money for public heating assistance programs. Harris serves as the Director of Maine’s Parks and Public Lands, a gubernatorially appointed position. He could be fired without reason by the governor, making his remarks all the more astonishing. I haven’t checked this morning to see if Will is still on the job! How much is a forest really worth? 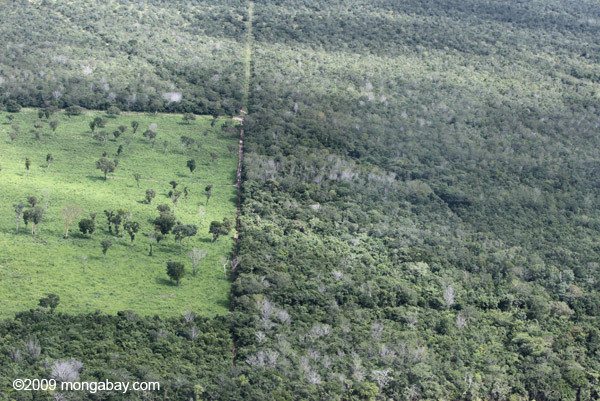 And what is the cost of forest degradation? These values are difficult to estimate, but according to Dr. Phillip Fearnside, we need to do a better job. For nearly forty years, Fearnside has lived in Amazonia doing ecological research, looking at the value of forests in terms of environmental or ecosystem services such as carbon storage, water cycling, and biodiversity preservation. Fearnside then works to convert these services into a basis for sustainable development for rural populations. 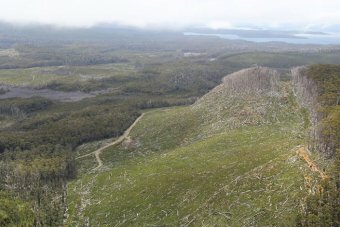 Tasmanian Liberal Senator Richard Colbeck has disputed findings of an ABC Fact Check report on moves to de-list thousands of hectares from the World Heritage Area. The Federal Government wants to delist 74,000 hectares because they are not pristine areas and include logged or degraded sites, and a plantation. It has applied to the United Nations to reverse last year’s extension to the area which was part of the state’s historic forestry peace deal. The ABC’s Fact Check Unit says expert analysis suggests 85 per cent of the forests have not been logged and there is only a small amount of degradation. … The NHSM rule, finalized on Feb. 7, 2013, established particular non-hazardous secondary materials as categorical non-waste fuels, provided certain conditions are met. According to the EPA, entities burning such materials do not need to evaluate them under the general case-by-case standards and procedures that would otherwise apply to non-hazardous secondary materials used in combustion units. With the new amendment, the EPA is proposing to add three new materials to this list. 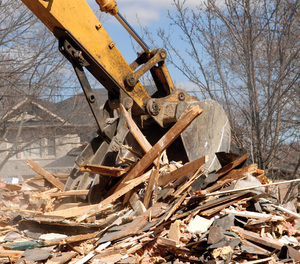 The first new category is construction and demolition wood processed from construction and demolition debris according to best management practices. The U.S. pellet export industry had an outstanding year in 2013. 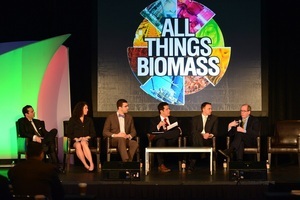 That’s evidenced by the number of projects that came on line, and the fact that producers are delivering mass quantities of pellets to overseas markets on spec and on time, according to Seth Ginther, executive director of the U.S. Industrial Pellet Association. …The main driver behind the industry’s momentum is policy certainty in Europe, Ginther explained.